Since most wedding networking events take place in the Tampa Bay area, we thought it only fair to visit our wedding pros to the south in Sarasota for evening of great food and conversation. 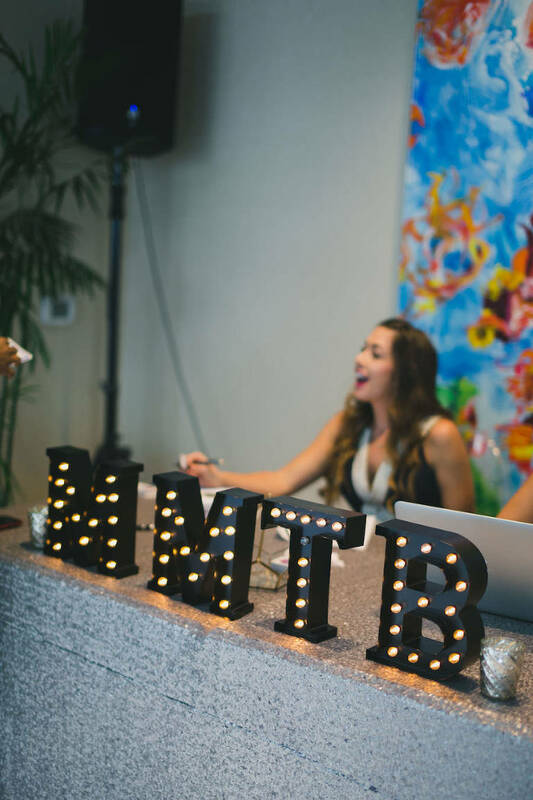 In partnership with Sarasota wedding planner NK Productions, we invited wedding vendors from both sides of the Sunshine Skyway bridge to our speed networking event. 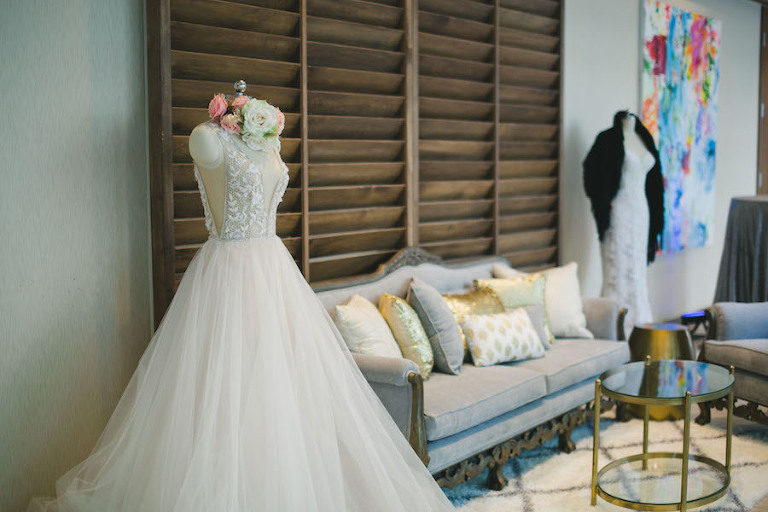 Around 60 wedding pros joined us at downtown Sarasota event venue The Francis, where they were treated to heavy appetizers all night. The Cake Zone provided their signature Little Tipsy Cakes for every attendee, plus mini-cupcakes for those with an extra active sweet tooth. The Reserve Vintage Rentals styled the dessert bar with a vintage desk and crates and designed the lounge with their upholstered furniture. 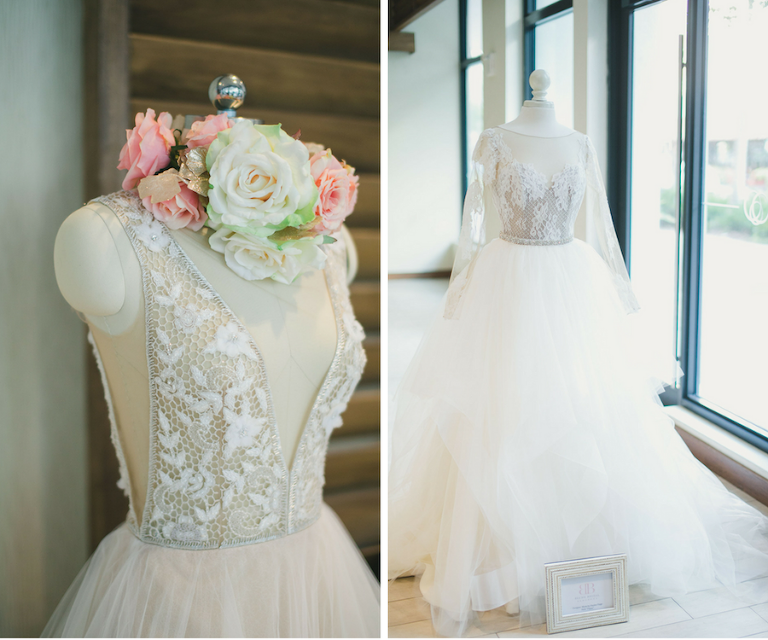 Blush Bridal Sarasota added to the ambience by showcasing their amazing couture wedding dresses. 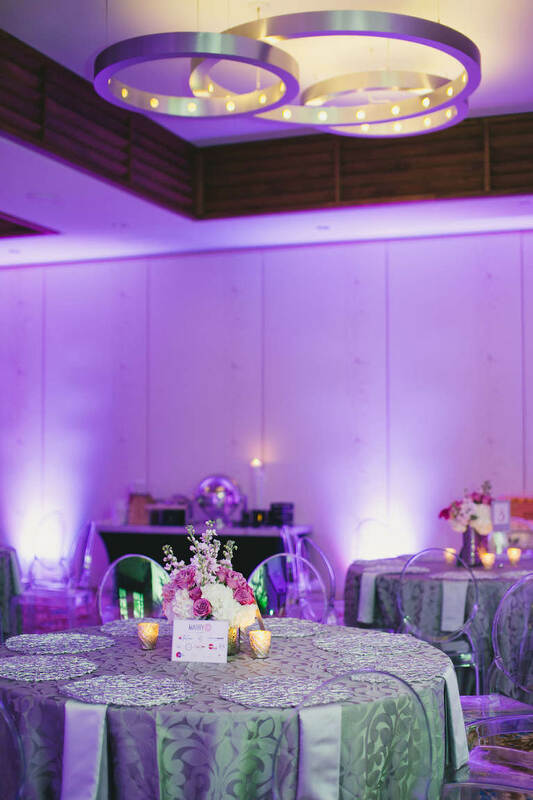 Gabro Event Services provided warm uplighting to complement the silver, pink and white color palette. The tables were decorated with centerpieces by Elegant Designs Floral Art Studios, linens from Over the Top Rental Linens, chargers from Signature Event Rentals, stationery by Invitation Galleria and ghost chairs from So Staged. Vendors separated to their assigned seats and, one at a time, shared their business specialties with their entire table. After one minute and thirty seconds, it was the next person’s turn, until the entire table spoke. From there, everyone changed seats and began the fun all over again. Gabro Event Services owner, Kabe Gabro, kept everyone moving along as our MC for the night, while wedding photographer Roohi Photography captured all the laughter and gorgeousness of the evening. We received such wonderful feedback that we can’t wait to schedule our next speed networking event in Spring 2017!